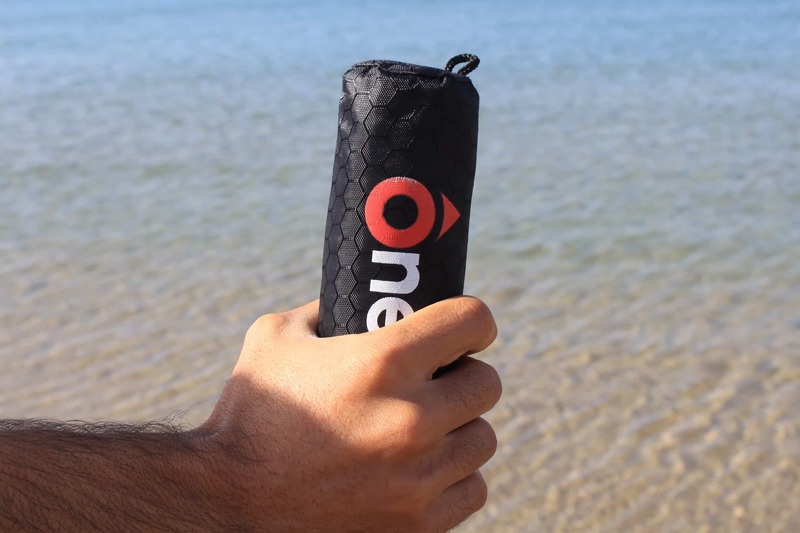 OneUp's self-inflating life preserver helps to reduce the terror that can come from falling overboard, or finding yourself in trouble at the beach. This small, soft drink can shaped tube explodes into action once it comes into contact with the water. It self-inflates and is a one-size-fits-all life preserver. All it takes is one toss, and voilá, OneUp springs into action. This is perfect for the adult who struggles to swim; the teen who loves to swim out beyond safety. It brings an extra sense of security when contemplating boating safety. 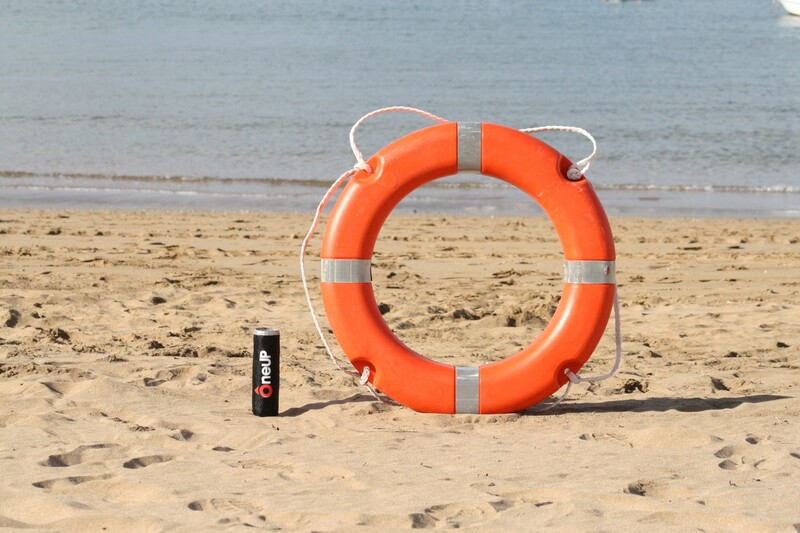 OneUp is providing an extra life approach to aquatic safety that enables rescuers and water enthusiasts alike the ability to save lives without the extra time required to activate a life preserver. OneUp's compact device provides an extra layer of safety in both salt and fresh water. 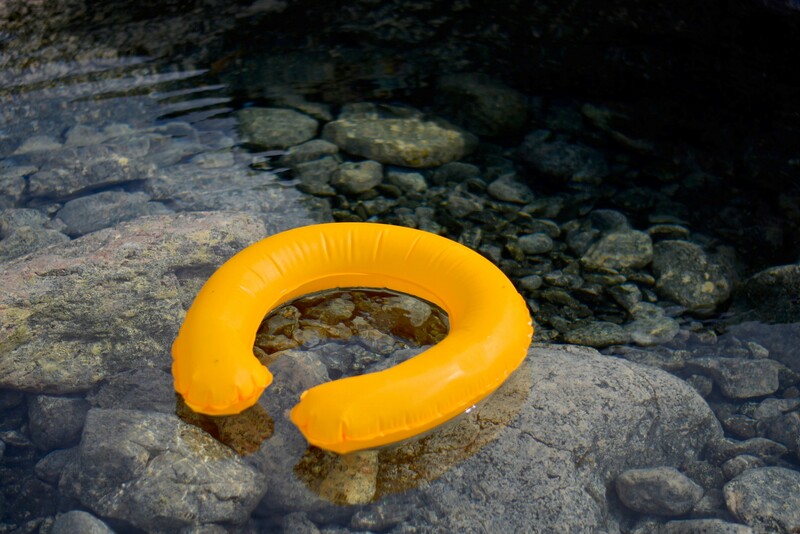 Just toss the tube to a person in need of assistance, and it will self-inflate as soon as it comes in contact with the water. OneUp's self-inflating life preserver weighs in at 0.8 lbs and is 6.8″ long. It comes with a waterproof cover and a carabiner to attach the device to bags or belt loops. When you need OneUp, just simply throw or hand it to the victim. OneUp was designed with speed and portability to enable quick and safe rescue of victims in an emergency situation. With a small salt pod and a CO2 sensor enclosed in its housing, when it comes into contact with water, the salt pod dissolves and activates the CO2 release, which in turn inflates the life preserver. From contact with water to full inflation is 2 seconds. OneUp is reusable following a 60-second reset. OneUp can hold up to 330 lbs. I received no monetary compensation for writing this post. I am in no way affiliated OneUp. Hey! What is the Weather Going to Do? Don’t miss out on our posts. When you subscribe to our newsletter, you are the first to be “in the know”!